Joe La Barbera has enjoyed a long and varied career in music, a career that has taken him all over the world with some of the finest names in jazz. 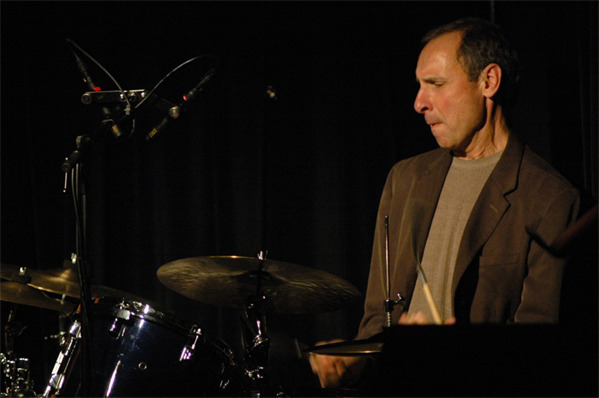 He is regarded by his peers as a musical drummer and a supportive accompanist. Jazz great Bill Evans summed it up best when he said that "Joe is very dedicated to playing quality music and he’s willing to make the concessions of dues toward that end. He's a top soloist and he does the right thing at the right time". Born in Mt. Morris, New York, his first musical experiences began at home as part of the family band with his parents and two older brothers saxophonist Pat and trumpeter and arranger/composer John La Barbera. From his father he received a solid foundation in drumming as well as lessons on clarinet and saxophone. His Education continued at the Berklee College of Music in Boston where his teachers included John La Porta, Charlie Mariano, Herb Pomeroy and the great Alan Dawson. .
After Berklee and two years with the U.S. Army band at Fort Dix, New Jersey, Joe began his professional career With Woody Herman and the Thundering Herd. The Chuck Mangione Quartet followed with gigs ranging from jazz clubs with the small group to symphony halls with full orchestra. Then it was on to New York and a fruitful two-year period of freelancing with Jim Hall, Phil Woods, Art Farmer, Gary Burton, Art Pepper, John Scofield, Bob Brookmeyer and Toots Thielmans to name just a few. In 1978 Joe was asked to join Bill Evans in what was to become a landmark trio.Along with bassist Marc Johnson, the trio grew over a two-year period to become one of Evans' finest. After Bill's untimely death in 1980, Joe joined pop singer Tony Bennett. Currently residing in Los Angeles, Joe is involved in a wide range of music. On the local scene he is busy with his own quintet as well as sideman duties for Hank Jones, Eddie Daniels and Alan Broadbent. On the International scene he is recording and touring with "Bassline"(a group with Hein Van de Geyn and John Abercrombie) Kenny Wheeler, J.M.O.G (a cooperative group with brother Pat La Barbera, and numerous projects with the W.D.R. Big Band in Cologne. Joe is on the faculty at California Institute for the Arts and the Bud Shank Jazz Workshop in Albuquerque, New Mexico. He is also busy as a clinician and guest artist at many major universities.